Thorax | One of the world's leading respiratory medicine journals, publishing clinical and experimental research articles. 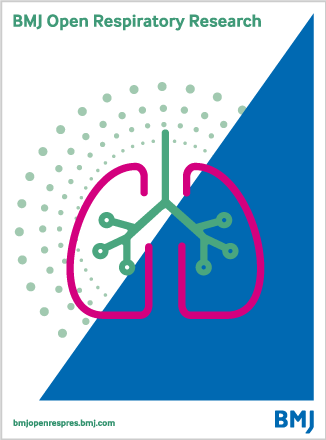 Thorax is one of the world's leading respiratory medicine journals, publishing clinical and experimental research articles on respiratory medicine, paediatrics, immunology, pharmacology, pathology, and surgery. Thorax seeks to publish significant advances in scientific understanding, which are likely to impact on clinical practice. This includes articles concerning basic and translational mechanisms with application to clinical material (cell and molecular biology, genetics, epidemiology, and immunology). 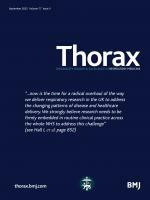 Thorax is an official journal of the British Thoracic Society. 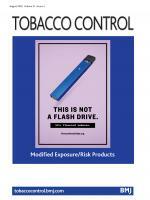 To access Thorax podcasts please click here. To celebrate the latest impact factor of 9.655 we have made the most-cited articles from the past three years free to access. See the list here. Thorax accepts submissions of a wide range of article types, including original research, state of the art reviews and protocols. The Author Information section provides specific article requirements to help you turn your research into an article suitable for Thorax.